The diversity of license types (depending on application) for ROYALTYfree music sometimes makes it difficult for the client to find the appropriate one. 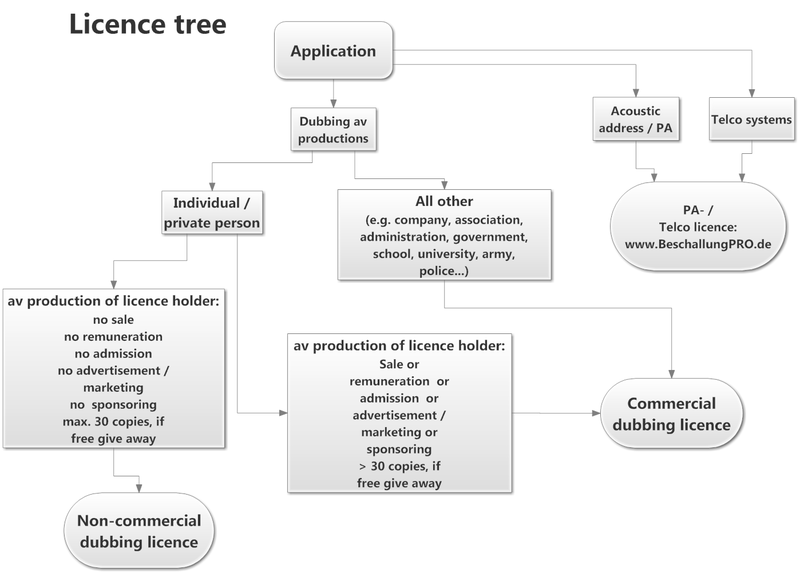 To facilitate your selection of the appropriate license, we have developed the following matrix of the Highland Musikarchiv license system for you. Licence samples (PDF file) you can accessed here (new page or tab). If you have any questions concerning the license type, please do not hesitate to contact us. av-dubbing: copies for marketing, advertisement etc. av-dubbing: broadcasting Open Channels, Citizen TV, etc. Do you have special requirements or questions? Please contact us.